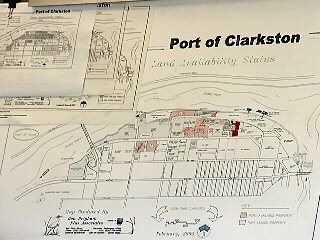 CLARKSTON - Thursday's Port of Clarkston meeting was all about possibilities. The port commissioners heard a proposal for a boat dock at Granite Lake Park. The dock would not require pilings. Wanda Keefer, port manager, says the dock would be an asset for the area and work great when they get requests for wake boarding contests. In addition they would like to add a viewing area at the park. The commissioners also heard form Mark Stanton from Kiwi Air. He would like to lease a piece of land to start offering helicopter tours of the area. He says this service would compliment activities for cruise boat tourists. "I think ultimately it would tie in very well with the cruise lines," said Stanton. "Simply because I am sure there are a lot of people that come on those ships up here that would like to go and see Hells Canyon but cannot quite spend hours on a jet boat or don't have the time, have other things they want to do."